Sterling silver melts at just under 900 degrees Celsius. 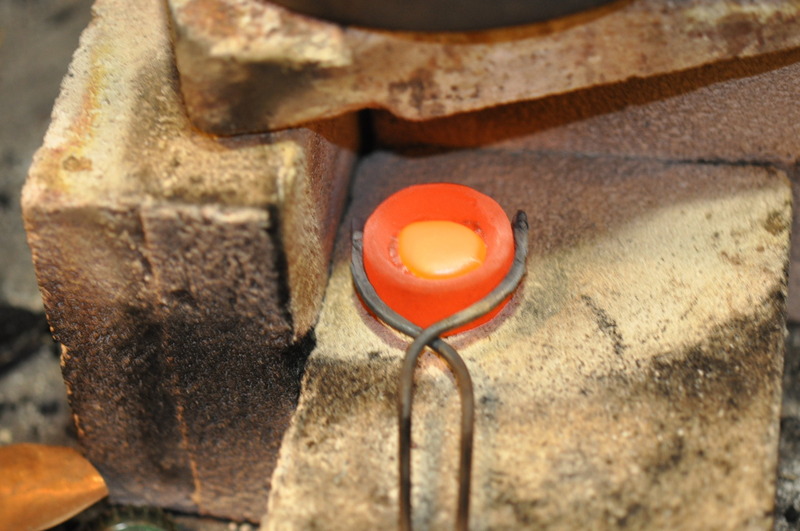 I use a torch to melt it in a graphite crucible. Wish i had a shot of the pour itself, but i need both hands to get it right!